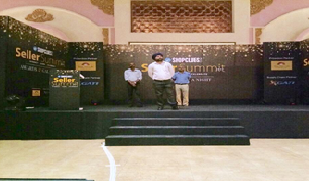 The Seller Summit was a discussion based seminar organized by the partnership of Gati and Shopclues. It provided an opportunity for partners and sellers to exchange ideas and best practices to grow their online business and exceed current profits. The speakers touched upon topics like branding, up to date and actionable ecommerce strategies and breaking through current limitations. Gati’s fulfilment sevices helps the sellers to accelerate business scalabilities by efficient order fulfillment processes. It excels in logistic planning, inventory management, packaging and labelling , assembly and installations etc. This level of expertise is what every online seller needs!